… on Wednesday April 2nd. Their talk will begin 18:30 o’clock local time in the New Paulinum of the University of Leipzig. Magic Lantern was started in 2009 by Trammel Hudson to bring professional video recording and advanced photographic features to Canon EOS DSLR cameras. The project expanded and its feature set. Custom video overlays, raw video recording, time lapsed video, manual audio control and more belong to it. With these tools Magic Lantern greatly improved useability in many areas upon bare Canon firmware and is now daily used by many professional photographers, journalists and movie makers. 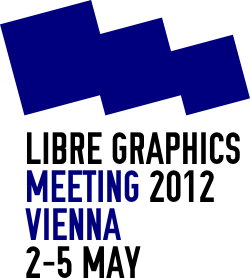 As mentioned in a post before, the Libre Graphics Meeting will be held in Vienna from 2th until 5th of May this 2012. I have now submitted my talks and will hopefully know in some days if they are accepted. Colour Management a la Greek: will give a overview about some technical concepts for platform independent color management systems. Evolving Concepts for Colour Management: will summarise the ongoing ideas and discussions on the freedesktop working group OpenICC. Like in the years before, there is a chance to meet with students of the upcoming Google Summer of Code projects. Sirko submitted Taxi DB – Call A Cab To Bring The Colors: which describes the idea behind the ICC profile database and hopefully we getting some feedback and ideas, on how to make sure, that the quality of the profiles will be high. I am sure the self-styled competitor will also be around and give an talk about his view on color management. If we can get to useful work on specs on a OpenICC round table for the sake of cross desktop compatibility, then even better. Not directly related to colour management but nonetheless interesting, I was pointed to a project called Tupi. Tupi was forked by Gustav Gonzalez from KToon. KToon made no noticeable progress since he left the project in 2010. 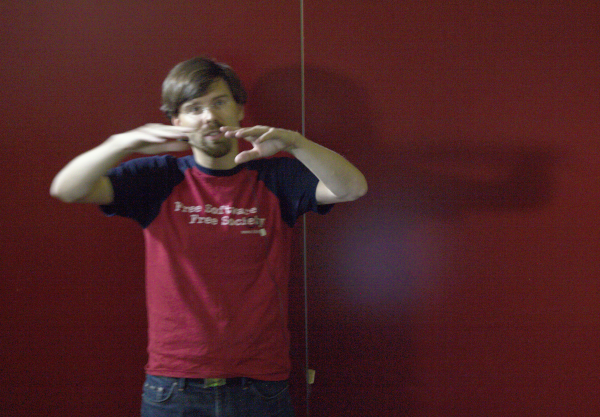 Gustav likes to attend the Libre Graphics Meeting, but he needs some support to get there. We should help him, so that he can meet Boudewijn Rempt and some others from Krita, who can help him to find his way to the KDE community. But he needs some money for travelling. And there are still some other requests for generosity I mentioned before. 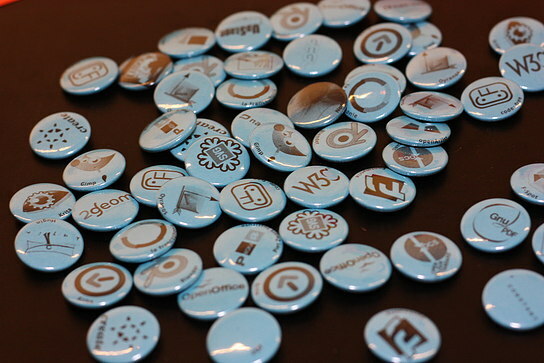 Libre Graphics Meeting (LGM) is coming along nicely and will surely become again a cool event for the FLOSS community. 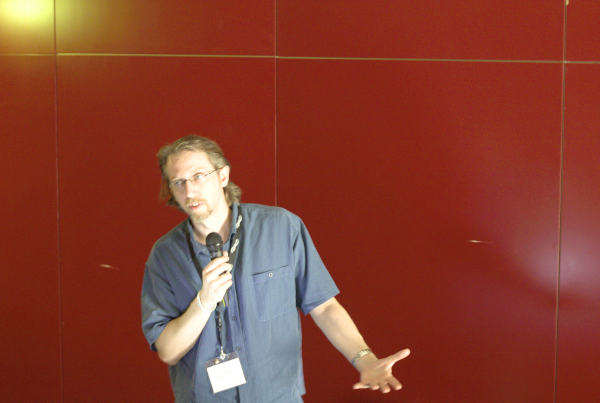 LGM is this year co-located with the Linuxwochen Vienna and their Call for Papers is still open until 1st of April. Originally I wanted to have most packages ready for Montreal. But it was good to not announce them. Now they are slowly rolling out. Today came the basICColor_Offset_2009 package 1.1.1 shortly after OpenICC Data package 1.2.0. Both form now a fairly distributable and stable usable set of ICC profiles with completely free licenses. ICC Examin had some issues in the CinePaint plugin. So I decided to first fix that and as well finish the started ICC v4 support in ICC Examin. Most of that should work already in git. LGM was a quite useful chance to meet people. Jon Cruz from Inkscape I met the first time, which was a nice experience. His remarks on the Cairo API for ICC support at the end of the OpenICC round table where interesting and I hope we can continue with that hot toppic. As well I meet Richard Hughes the author of colord and GCM. We could settle on a specification for file based colour device configuration exchange of CMS/CMF’s and discuss desktop colour servers, which was quite interesting. My talk was about “Connecting Device Calibration to ICC Profiles“. 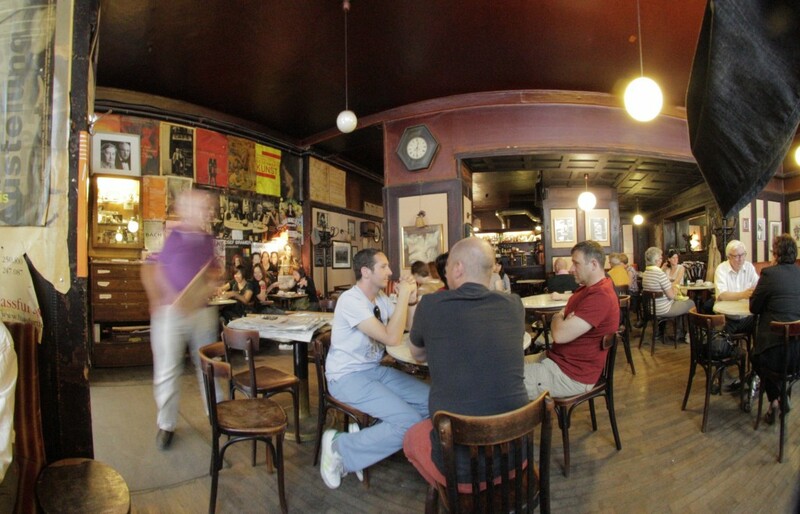 With many more people I could exchange ideas and make plans. Among them where Oliver Berten, the author of SwatchBooker, Peter Linell and Jean Ghali from Scribus and many more. To my surprise Boudewijn Rempt from Krita pointed out that OpenGTL‘s shiva can handle more than three colour channels. I would love to get support for that in Oyranos. The whole atmosphere at LGM was great and Louis and the LGM organisation team did great in preparing culinary and cultural program highlights additional to a wonderful conference. As time for coding was somewhat short, some slight improvement could be coding & buffet. This would be a nice experience instead of the well known coding and pizza. I found the town of Montreal to be a surprisingly friendly place. People from so many cultural background where smiling in the streets, of course always with a arm’s length distance, which is quite unusual in Europe.